SHOULD PENNSYLVANIA EMPLOYERS RELY ON CREDIT HISTORY IN MAKING EMPLOYMENT DECISIONS? The Equal Employment Opportunity Commission has taken the position that an employer cannot use credit history background checks unless the credit screening is job-related. This position, however, is based upon an adverse impact theory – in other words, that an employment practice neutral on its face is unlawful if it disqualifies a disproportionate number of members of one protected class, as compared to other groups, without being sufficiently related to successful job performance. Halloween has become the second biggest holiday after Christmas. Does that surprise you? It doesn’t me. My boys have been wearing their costumes all month, as they do every October. We love it. It’s also the holiday I miss most working from home. My colleagues (my friends – love you guys!) have always celebrated Halloween at work with gusto. The people there are insanely creative, so it’s always with eager anticipation that I await news and photos of their costumes. And the food – we have amazing chefs working in our midst! The parade, the contest, the fun – I miss it all. Not every employer is lucky enough to be able to celebrate Halloween at work. But, for those of you who can, here are a few suggestions on how to do it right. If you are a typical busy HR professional, there is a pretty good chance that you may have missed the Supreme Court ruling from last year dubbed “The Cat’s Paw Theory” or “Cat’s Paw Liability” case. There have been quite a few articles written on the topic, but most just cover the theory itself and its legal ramifications, not how it relates to the Human Resources profession. I have sent and responded to work emails at 3 a.m. I take my phone to the bathroom. When my date gets up from the table to go to the bathroom, I check my messages while he’s gone. I have excused myself from the table while on a date to go to the bathroom and check my messages. To be perfectly honest, the only reason I’ve recovered from my Crackberry compulsion is that I’ve transferred my addiction to all things Apple. For those of you who do not suffer from this problem, I applaud you. For those who can sympathize with the madness, I hope my confessions provide you with succor in the fact that you are not alone. The issue of 24/7 access to work is a concern for employers. Employee burnout, productivity, life-work balance (I’ve noticed that it’s always called work-life balance – doesn’t that strike you as another symptom – that work is placed first), and overtime pay are inextricably entwined with our attachment to technology. 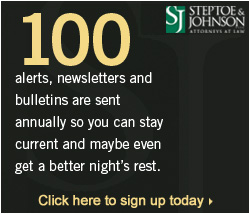 Some companies are instituting policies, whether written or by example, that set expectations for after-hours emailing. Other companies, like Volkswagen, turn off email until 30 minutes before and at the 30 minute mark after the employees’ shifts. In the U.S., employees have been filing lawsuits under the Fair Labor Standards Act seeking overtime for time spent responding to emails after work. In Brazil, the government has passed a law giving employees overtime wages for after-work emailing. I don’t view this issue as having a one-size-fits-all solution. For a large organization like Volkswagen, maybe queuing email until just before work for the vast majority of employees is a viable solution. For small businesses, prompt responses and no holds access could mean the difference between getting the customer or driving it away to your competitor. Digging even deeper, your night owls and morning people may be more productive outside of normal business hours, and employers don’t want to hinder productivity. For our regular readers, there’s no need to preach to the choir. Make sure your employees are classified properly, pay overtime as required by law, and seek legal assistance if you’re simply not sure what the proper move is. For my part, as someone who typically works from home, the question is what can I do to balance the life-work insanity that plagues us all in the information age? How can I show my employer that I am responsive and productive when they can’t just walk down the hallway and check in with me? Well, for one thing, my office is my office, regardless of where it is located. When I’m not working from home and I need to focus in on a project, I close my door and put out a small red stop sign. I apply that same mentality at home. My need to focus hasn’t changed – just my location has. I apply that little red stop sign to my email and telephone calls until I can break the flow of my project without doing damage to my work product. There are other ways I maintain productivity, even if it often has its roots at unusual times. For instance, I’ve been guilty of the really after-hours email due to having an epiphany right before bed, or in the middle of the night, regarding something that needs to happen in one of my cases. But, rather than send an email to the person I need to discuss the matter with immediately, I email myself and resend it in the morning to the appropriate individual. Employers should realize that there may be an imbalance in their employees’ perception of what the boss wants and what you really expect. Managing these expectations both at the business and personal level can relieve some of the stress associated with this always on-call attitude. If you have self-control issues like mine above, manage expectations with an outgoing email that states you will respond within normal business hours but to please call if there is an emergency situation that needs attending. Workplace policies, with a top-down demonstration of commitment, may help you manage perceptions (and the potential for overtime lawsuits) at the business level. I’d be interested to hear your views on how you or your company handles the after-hours email dilemma. Earlier last month, in EQT Corp. v. Miller, the United States District Court for the Northern District of West Virginia provided its most recent guidance regarding the enforceability of alternative-dispute-resolution (“ADR”) agreements subject to the Federal Arbitration Act. Before discussing the court’s conclusion and what it means for employers, some background regarding the case may be helpful. We recently discussed here the National Labor Relations Board’s (the Board) first-ever ruling on employees’ social media postings. Now, three weeks after its initial decision, which found that Costco’s policies regarding social media were overbroad and could restrict employee activities protected by the National Labor Relations Act, the Board has issued another decision on social media. In Karl Knauz Motors, Inc. d/b/a Knauz BMW and Robert Becker, the NLRB gave employers a modest win. Employers certainly have had a difficult road to travel over the last 18 months or so as the National Labor Relations Board (NLRB) under President Barack Obama has demonstrated an activist role in restructuring the labor relations landscape. Readers, please don’t forget to download our free Workplace Violence Toolkit. It’s just a click away at the right of your screen. It’s a great resource to have in your files, even though we hope you never have a need for it. The valuable insights provided by this toolkit are something every HR manager, employer, and business owner needs to know before a crisis presents itself. This toolkit won’t be here much longer, so please take advantage of this free content while it lasts.